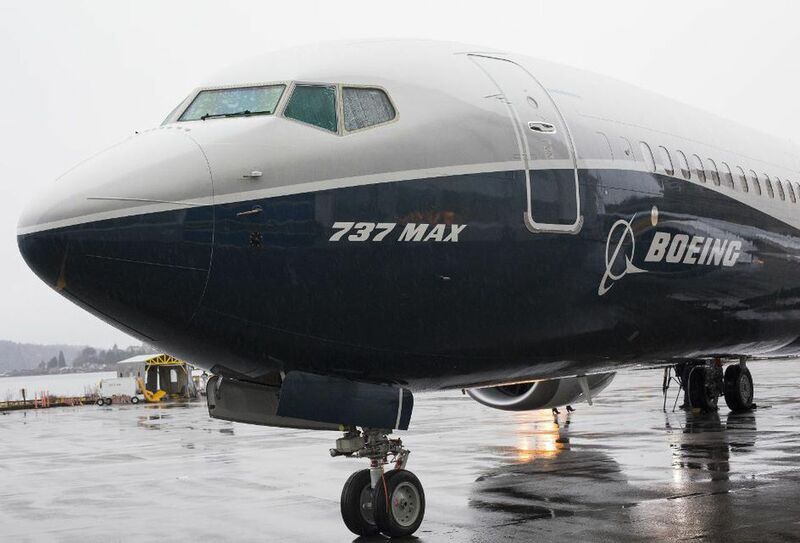 The intelligence report provided to Fox by Imagesat International showed the new deployment in Krasnodar, 270 miles from the Ukrainian border. 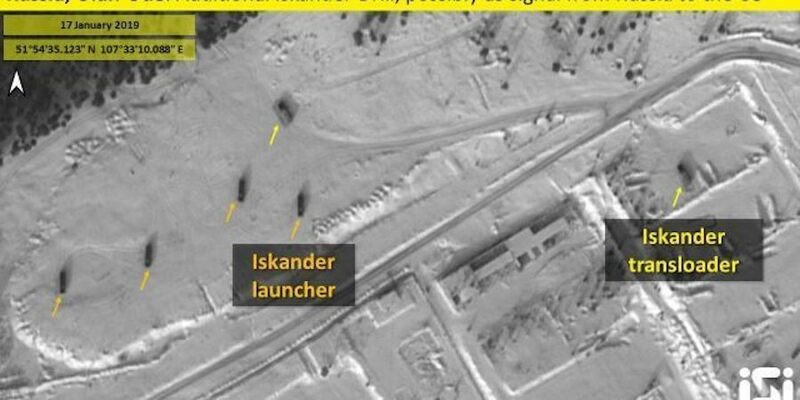 In the images is visible what appears to be an Iskander compound, with a few bunkers and another compound of hangars. There is a second new installation that was discovered by satellite photos, but this one is much farther to the east, in the region relatively near to Ulan-Ude, a city relatively close to the Mongolian border. Both Ukraine and Mongolia are nations that have good relations with the West, but Mongolia has good relations with both its immediate neighbors, Russia and China, and in fact participated with both countries in the massive Vostok-2018 military war-games earlier this year. Near the launcher, there is a transloader vehicle which enables quick reloading of the missiles into the launcher. One of the bunker’s door is open, and another reloading vehicle is seen exiting from it. [Fox:] The Iskander ballistic missile has a range up to 310 miles, and can carry both unconventional as well as nuclear warheads, putting most of America’s NATO allies at risk. The second deployment is near the border with Mongolia, in Ulan-Ude in Sothern Russia, where there are four launchers and another reloading vehicle. [Fox:] Earlier this week, Nikolai Patrushev, secretary of Russia’s Security Council, said authorities of the former Soviet republic are being “controlled” by the West, warning it stands to lose its independence and identity as a consequence. “The continuation of such policy by the Kiev authorities can contribute to the loss of Ukraine’s statehood,” Mr Patrushev told Rossiyskaya Gazeta, according to Russian news agency TASS. This situation was placed by Fox in context with the Kerch Strait incident, in which three Ukrainian vessels and twenty-four crew and soldiers were fired upon by Russian coast guard ships as they manuevered in the Kerch Strait without permission from Russian authorities based in Crimea. There are many indications that this incident was a deliberate attempt on the part of Ukraine’s president Petro Poroshenko, to create a sensational incident, possibly to bolster his flagging re-election campaign. After the incident, the President blustered and set ten provinces in Ukraine under martial law for 30 days, insisting to the world, and especially to the United States, that Russia was “preparing to invade” his country. Russia expressed no such sentiment in any way, but they are holding the soldiers until the end of January. However, on January 17th, a Moscow court extended the detention of eight of these captured Ukrainian sailors despite protests from Kyiv and Washington. In addition to the tensions in Ukraine, the other significant point of disagreement between the Russian Federation and the US is the US’ plan to withdraw from the Intermediate Range Nuclear Forces Treaty (INF). Russia sees this treaty as extremely important, but the US point of view expressed by John Bolton, National Security Adviser, is that the treaty is useless because it does not include any other parties that have intermediate range nukes or the capability for them, such as Iran, North Korea, and China. This is an unsolved problem, and it is possible that the moves of the Iskander batteries is a subtle warning from the Russians that they really would rather the US stay in the treaty. 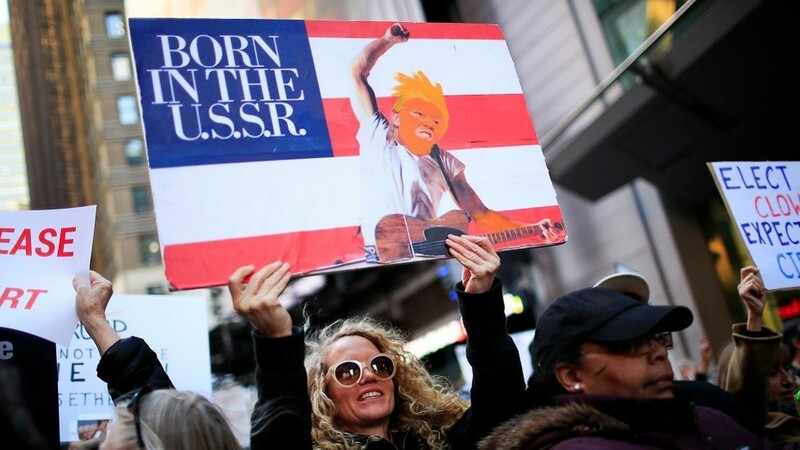 Discussions on this matter at public levels between the Russian government and the US have been very difficult because of the fierce anti-Russia and anti-Trump campaigns in the media and political establishments of the United States. President Putin and President Trump have both expressed the desire to meet, but complications like the Kerch Strait Incident conveniently arise, and have repeatedly disrupted the attempts for these two leaders to meet. It may be true that Russia deployed weapons to this base area in Crimea, but this is now Russian territory. S-400s can be used offensively, but their primary purpose is defensive. Troops on the Crimean Peninsula, especially at this location far to the north of the area, are not in a position strategically to invade Kherson Oblast (a pushback would probably corner such forces on the Crimean peninsula with nowhere to go except the Black Sea). 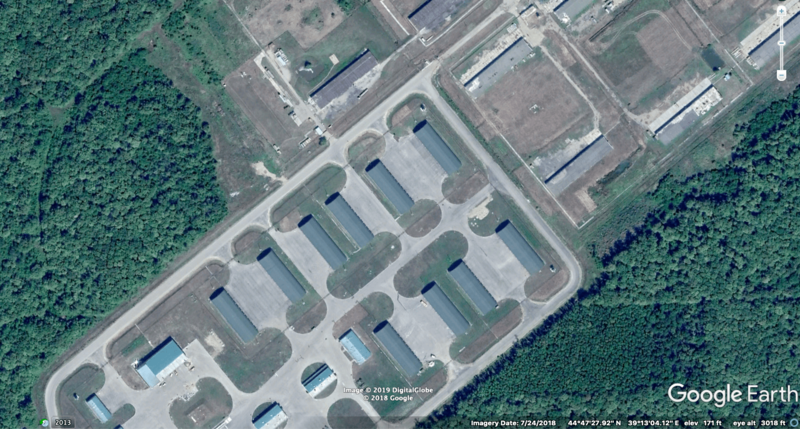 However, this does look like a possible defense installation should Ukraine’s forces try to invade or bomb Crimea. Fox has this wrong, but it is no great surprise, because the American stance about Ukraine and Russia is similar – Russia can do no right, and Ukraine can do no wrong. Fox News is not monolithic on this point of view, of course, with anchors and journalists such as Tucker Carlson, who seem willing to acknowledge the US propaganda about the region. However, there are a lot of hawks as well. While photos in the articles about the S-400s and the Russian troops are accurately located, it does appear that the one about Iskanders is not, and that the folks behind this original article are guessing that the photos will not be questioned. After all, no one in the US knows where anything is in Russia and Ukraine, anyway, right? That there is an issue here is likely. But is it appears that there is strong evidence that it is opposite what Fox reported here, it leaves much to be questioned. What business is it of any foreigners where Russia chooses to position its defensive missile batteries. The USA puts missile batteries in Germany, Poland, Romania, Japan, Korea… and that’s apparently all right, although those places are many thousands of miles from the nearest US territory. So why is there a problem when Russia takes steps to defend itself? Exactly!. 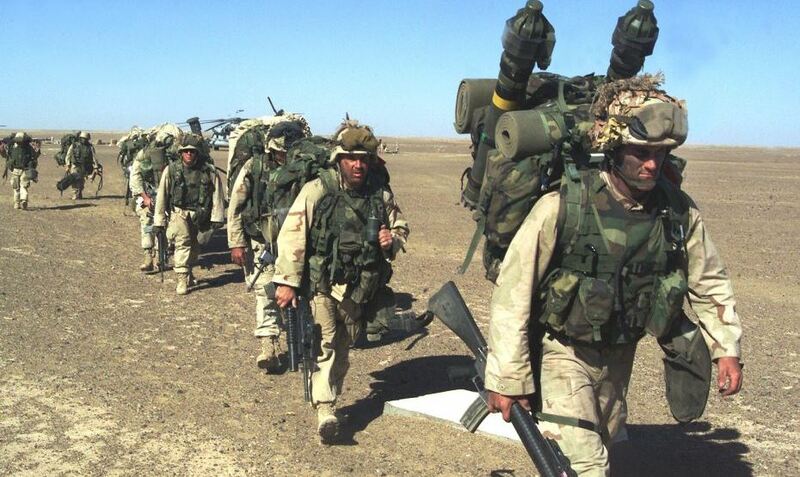 Where Russia chooses to place any military on Russian Federation soil is no business of anyone, least of all the US!. “Latest”-texts: four about the USA, two about Great Britain, two about Russia, one about Syria, one “tabloid” theme about “Toxic Masculinity”. Furthermore, one of the texts about Russia, the “Iskander”, quotes Fox News, a US media. Could the Duran please present more interesting texts about RUSSIA – and about various themes regarding RUSSIA? And please not from a US point of view? Thank you. This article gives good information to DURAN readers. I doubt that everybody knows a lot about Russian Iskander ballistic missiles and where they are stationed. I find this information interesting. Just more propaganda and sabre rattling !! It is of no business to the rest of the world , where Russia chooses to place it`s defence missiles. The US seems to think it is the world sheriff of all things military , when really they just want control of the whole planet !! If they concentrated more on their own Government and economy , maybe the rest of humanity might respect them a bit more !! How about presenting the Iskander from a Russian point of view? The Duran is leaning more and more towards presenting US texts. There are very good Russian media in English to be quoted, for example TASS or RT English. Also the Russian President’s Kremlin.ru has an English version. They all give a lot of good information about Iskander and other type of Russian weapons. I find the quotation of so many US texts superfluous in the DURAN.